Whether you are new to church, new to the area, or visiting from out of town, we are excited to welcome, love, and encourage you and your family. Here’s what you can expect when you visit with us. Sundays are special. Jesus rose from the dead on a Sunday. 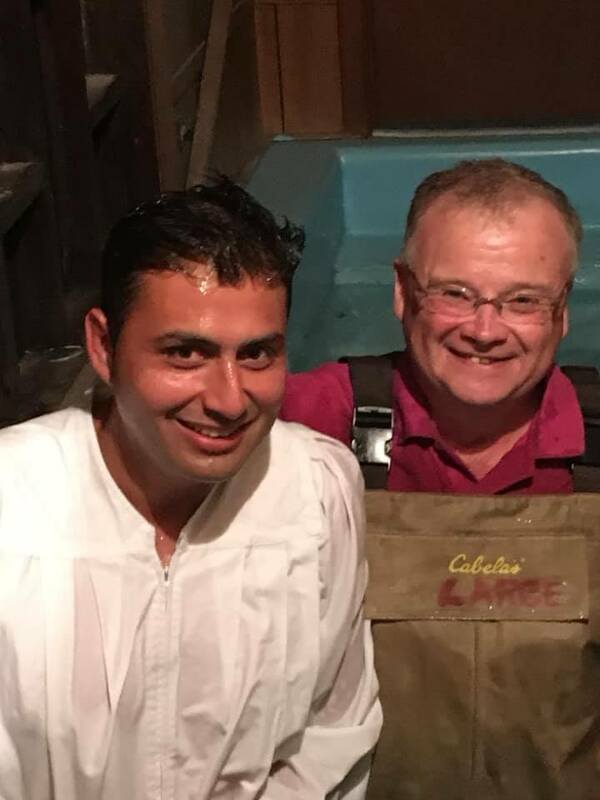 The first time people heard the good news about Jesus, repented of their sins, and were baptized was on Sunday. Sunday was the day the first Christians came together to remember Jesus’ death on the cross for our sins and to praise Him in worship. If you meet with us at our church building on Sundays at 11:00 a.m. or 6:00 p.m. for worship, you will get to celebrate Jesus simply, from the heart, just like Jesus and His apostles taught! Add your voice to beautiful acappella singing that praises God and lifts our hearts. Share in heartfelt prayer, experiencing joy as we thank God for all that He has done and peace as we ask for His help with what worries us. Hear God’s word read and a practical lesson taught to help you live the new, abundant life Jesus offers. Learn to trust God by giving cheerfully from what He has provided to you. Best of all, Jesus is so important to us that we share the Lord’s Supper every single Sunday. The greatest act of love ever known was Jesus’ death on the cross for our sins. We eat unleavened bread and drink the cup every week to proclaim His death until He comes again. God inspired what is written in the Bible, so we know it is able to correct us when we are wrong and teach us to do what is right. Because God uses it to prepare and equip His people for every good work, we study it together frequently to help us be workers that He approves. When you meet with us to study at our church building on Sundays at 10 a.m. and Wednesdays at 6:30 p.m., you will find classes for all ages. Your kids will come out of class with their new friends having learned important lessons from the Bible. For adults, you’ll have your choice of larger and smaller group classes that will help you not only understand what the Bible says but also how to put it into practice as you live life each day. Every week, we meet as small groups in public places around our community for a simple, practical study of a New Testament book, to pray, and to invite our neighbors to join us. We have these Neighborhood Bible Studies all around our region: join the one at the location and time that works best for you, and be encouraged! We have all made mistakes. Because of Jesus, these mistakes do not have to define us! Jesus died for our sins, was buried, and rose on the third day: when we die to ourselves and are buried in baptism, we rise to live new lives. Even better, we live those new lives as members of God’s family. As a member of our Georgetown family, you will be loved and encouraged to become more like Jesus every day. Through our worship and Bible studies. Through our fellowship and service activities. Through living life together every day. Jesus offers us an abundant life, full of God’s awesome love, joy, and peace. Plan your visit and come grow with us!